Summary: This hike takes you along the south side of the "great pyramid," which is visible from the end of the Tabletop Trail off the West side of the Airport Loop Trail. Trailhead Directions: The parking area is on the Upper Loop Road. 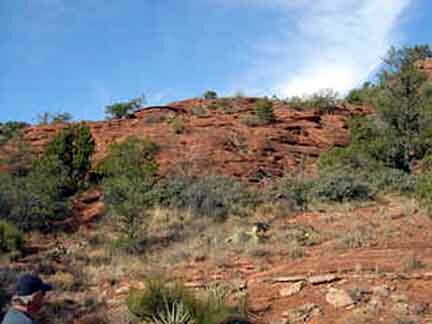 Description: The trail is easy to follow but has loose rock and is steep in places, particularly about 1 mile into the hike. But the views are remarkable, although the view of Cathedral Rock would be better in the afternoon. You can hike a loop when you combine the Pyramid Trail with the Scorpion Trail.